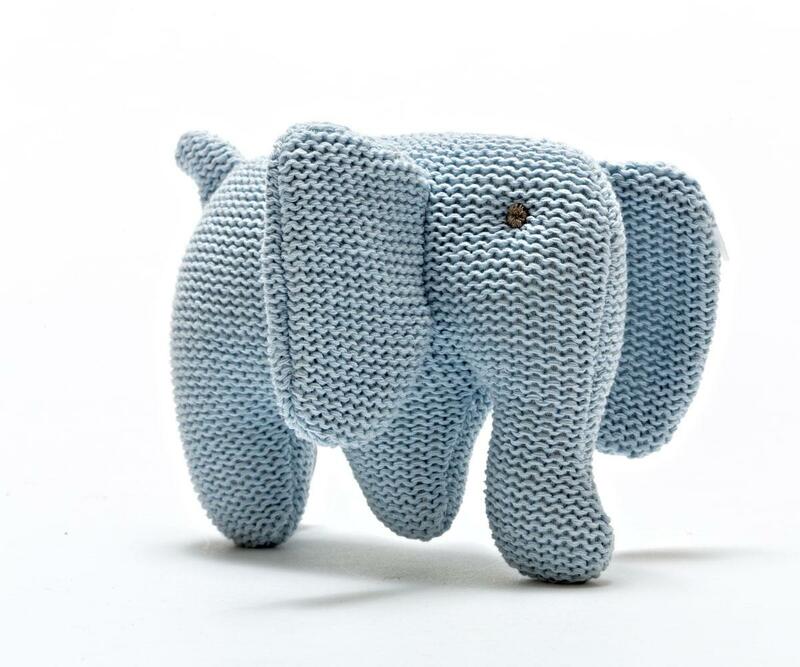 Gorgeous knitted elephant rattle for babies with large floppy ears, long trunk and short tail. Knitted from 100% organic cotton yarn in a soft blue colour. This elephant soft toy makes an ideal first rattle for newbies and a fantastic baby shower gift. We hope you love this little elephant as much as we do!